The Kontemporaryong Gamelan Pilipino (Kontra-GaPi), a University of the Philippines College of Arts and Letters cultural performing group, was invited to participate in this year’s Førde Traditional and World Music Festival in Norway. The festival will run from July 4 to 7. The music festival is an annual event that gathers 300 artists from all over the world and draws 30,000 visitors each year. It is the largest music festival in Scandinavia, and is one of Songline’s top 25 world music festivals worldwide. This year, the theme will be Music and Nature. 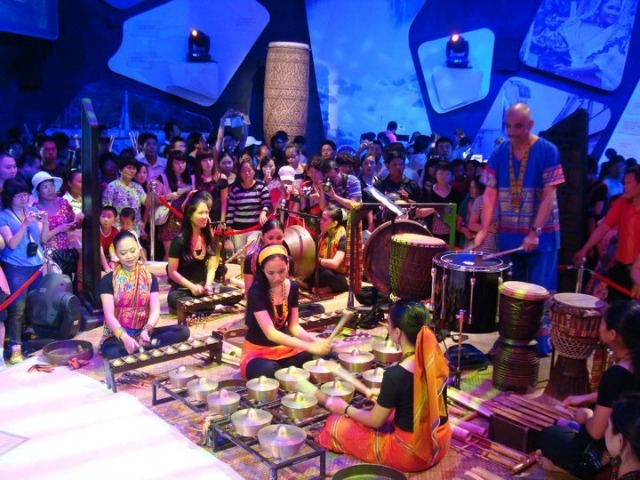 Kontra-GaPi uses indigenous Philippine and Southeast Asian instruments and musical traditions to produce a unique contemporary repertoire. Førde Traditional and World Music Festival is supported by the Norwegian Ministry of Foreign Affairs and Concerts Norway. The festival’s most important benefactor is the Crown Princess of Norway, Her Royal Highness Mette-Marit. Aside from concerts, visitors can join workshops, seminars, and outdoor activities in and around Førde, Norway. UP Kontra-GaPi performers set to go to Norway (L-R): Bernadete Canay, Jaimar Palispis (associate director), Sabrina Tan, and Shadin Kitma. Kontra-GaPi’s participation will focus on the event’s Talent 2013 project. Talent 2013 brings together 9 musicians from different cultural traditions with the aim of producing a new repertoire. This year, the Philippines was chosen as one of the representative countries for Talent 2013 alongside Norway and Indonesia. The goal of the project is to foster camaraderie through music among individuals from various backgrounds. Talent 2013 will be directed by composers Steinar Ofsdal and Ismet Ruchimat of Norway and Indonesia respectively. The new repertoire produced will be performed on July 6 at the festival’s main stage, Teatersalen, Førdehuset. Kontemporaryong Gamelan Pilipino was founded by UP Diliman Arts Studies Professor Pedro “Edru” Abraham Jr. in 1989. 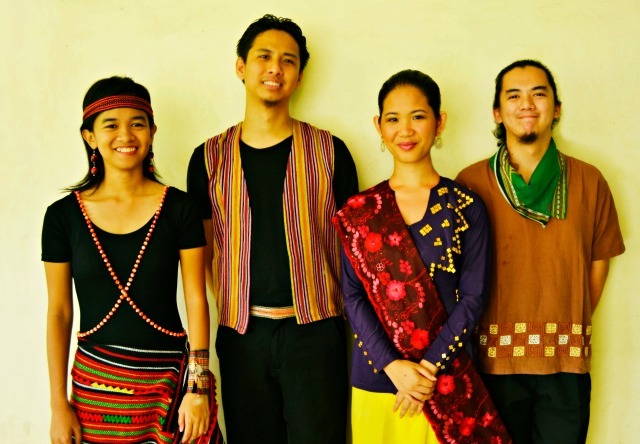 Kontra-GaPi uses indigenous Philippine and Southeast Asian instruments and musical traditions to produce a unique contemporary repertoire. The ensemble has performed around the Philippines and the world, and has had international engagements in the United States, Europe and Asia. The group is currently touring Europe until the 31st of July.